Wondering which of the more than 30 museums in Wichita to visit? Here is a roundup of the new exhibits starting in the third quarter to help you plan. Be sure to visit our blog post on new exhibits at that opened in the second quarter to see what other new exhibits might still be on display during your visit. 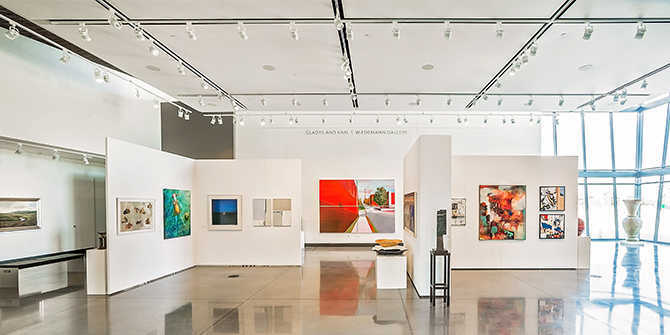 All of our Wichita museums are affordable and several museums mentioned below even offer free admission, including Mark Arts galleries (free daily) and the Wichita Art Museum (free on Saturdays). “Over There, Over Here: American Print Makers Go to War, 1914-1918,” July 28–Nov. 25, explores the little studied phenomenon of American print makers and their artistic responses to the watershed cataclysm of WWI. Planned to coincide with the 100th anniversary of the conclusion of the Great War, this exhibit will reconsider the resonance of WWI in the U.S. and in Wichita. Look for special public programs accompanying this exhibition, including collaborations with Wichita Symphony Orchestra and Wichita-Sedgwick County Historical Museum. 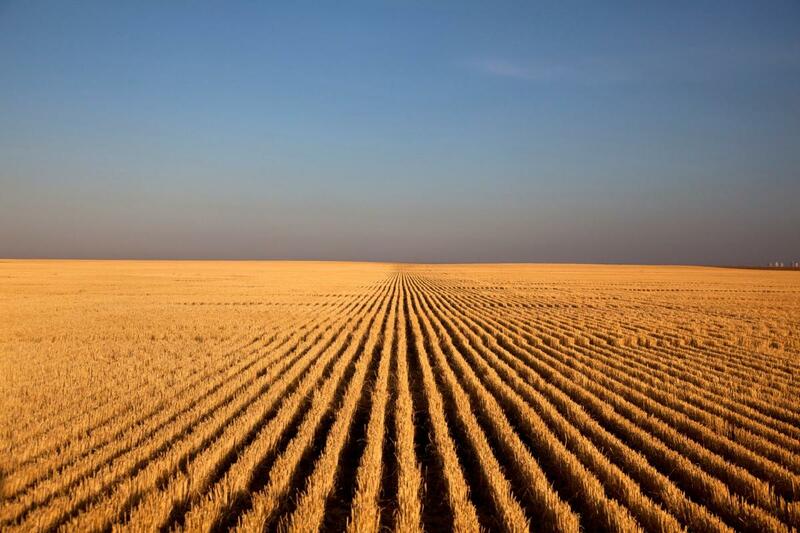 “Kansas Land: Farm Photography,” opens Sept. 29, features the recent work of Larry Schwarm and D. Bryon Darby. These photographs chronicle the life of farmers and the land they work in light of the social, economic and environmental challenges of 2018. Schwarm and Darby’s photographs come from larger collaborative projects sponsored by different departments at the University of Kansas. “Oil Painting National Exhibition,” July 20-Sept. 29, brings together artists from across the United States. This exhibition was juried by Daniel Keys of California, a self-taught painter whose works now hang in prominent collections throughout North America, Europe and Russia. He is a protégé of master artist Richard Schmid. Daniel will lead a painting demonstration on Friday, July 20 ($20 public/$10 members). The museum will be dedicating its newest exhibit, on the Beechcraft Staggerwing, during the third quarter. “Planet Shark: Predator or Prey” closes on Sept. 3, replaced quickly by another eagerly anticipated national traveling exhibit. “Toytopia” opens Sept. 22 and runs through Jan. 1, 2019. 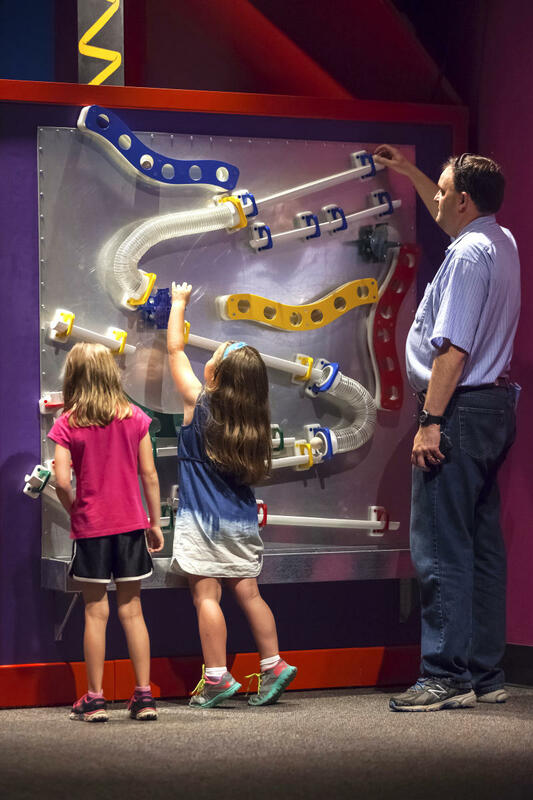 This exhibit allows all ages to play all day long in a world of big toys and big fun! Among the highlights: shake things up with the world’s largest Etch-A-Sketch, tour a life-size doll house, build a fort and set the high score in the retro video arcade. The national traveling exhibits are included with general admission. The Digital Dome Theater and Planetarium at Exploration Place has been updated. If you’ve not visited lately, plan now to see the new current shows. Remember that the 60-foot, 360-degree screen is ticketed separately and does not require general admission. “Great White Shark” takes you on a deep dive into shark inhabited waters while “Fighter Pilot: Operation Red Flag” takes viewer on an international training exercise in the Nevada desert.